Love these! 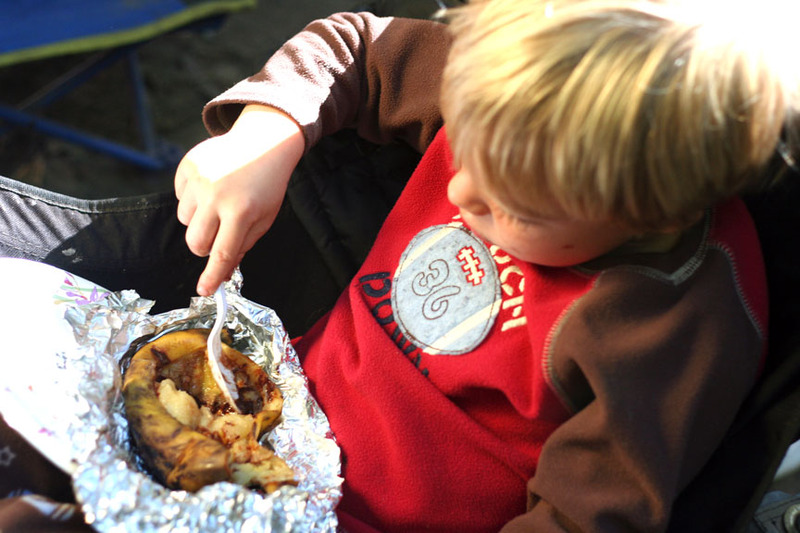 We always had them at camp – sometimes I do them in our oven because I like them that much. I think that is one happy boy…and in this picture, both the boy and the banana boat look gooey! That looks delicious! I am going camping soon and can’t wait to try it!!!! Those look delicious! I love all your photos! They make you feel like you are right there. Any good recipes for a chicken pot pie. The season is upon us and I haven’t found the perfect one! MMmmmmmmm… I am betting this would work well with ripe Plantains this way too…little butter and cheese. 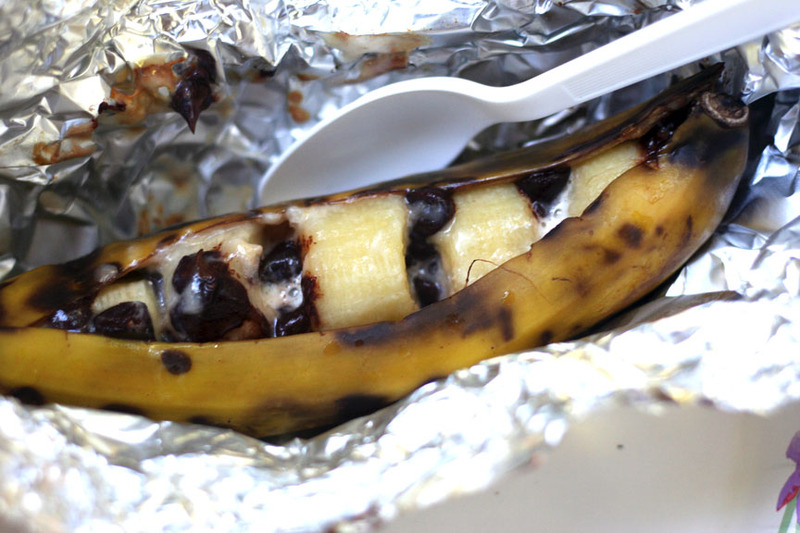 I love banana boats. I ate those on Girl Scout camping trips in California! I remember having those when I was little. In fact, I remember having them when we were camping in Big Sur. Maybe it’s a Big Sur thing!? Are you kidding me? I LOVE this idea! Now I just need to find a campfire! We made those at camp. Thanks for bringing back the memories! What a great way to get a serve of chocolate- I mean fruit- in! I saw this on another blog. She just copied and pasted on hers like it was her own, pictures and all. What a unique way preparing the food. 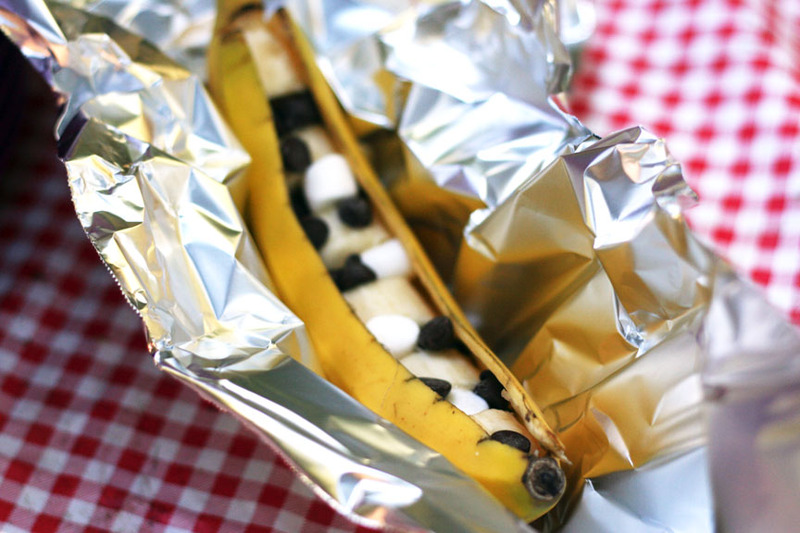 I really do love banana boat and by preparing it in a more special way I am amazed. What a great alternative to smores. 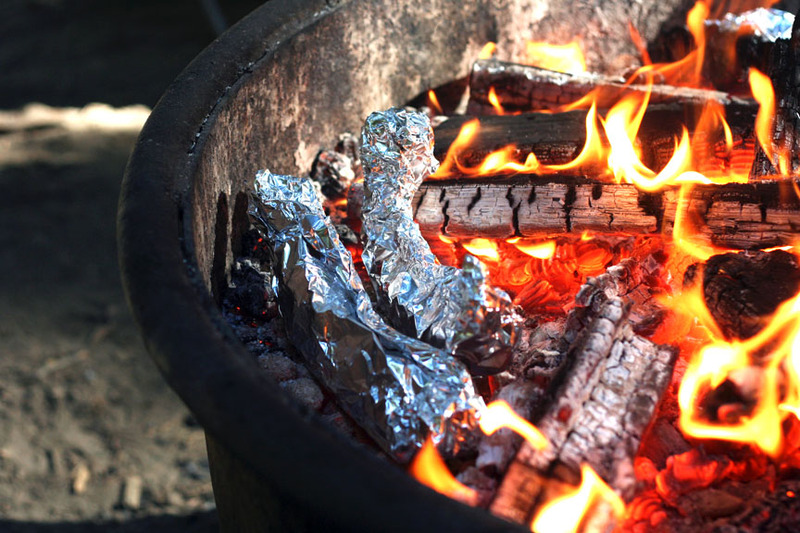 This is a much healthier snack, and an easy snack to make on a camping trip. Thanks for sharing.